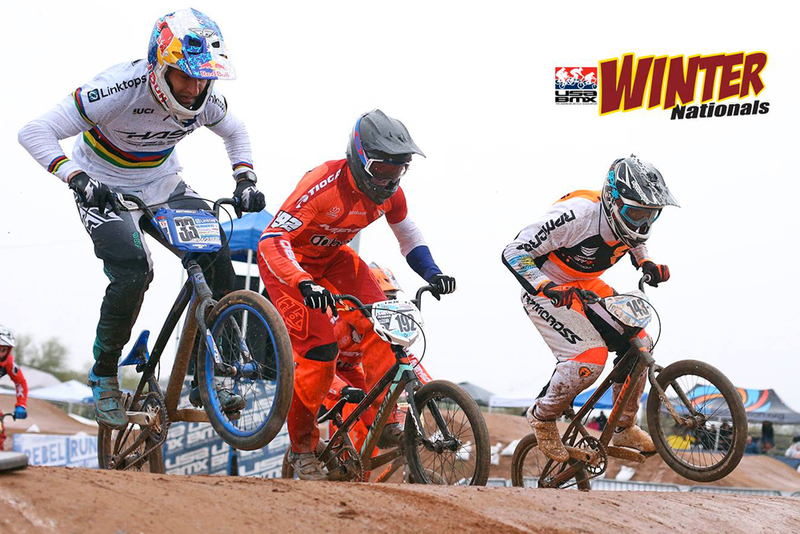 Joris, Romain, and Connor battle the elements to kick the USA BMX Season off in Winter Nationals. 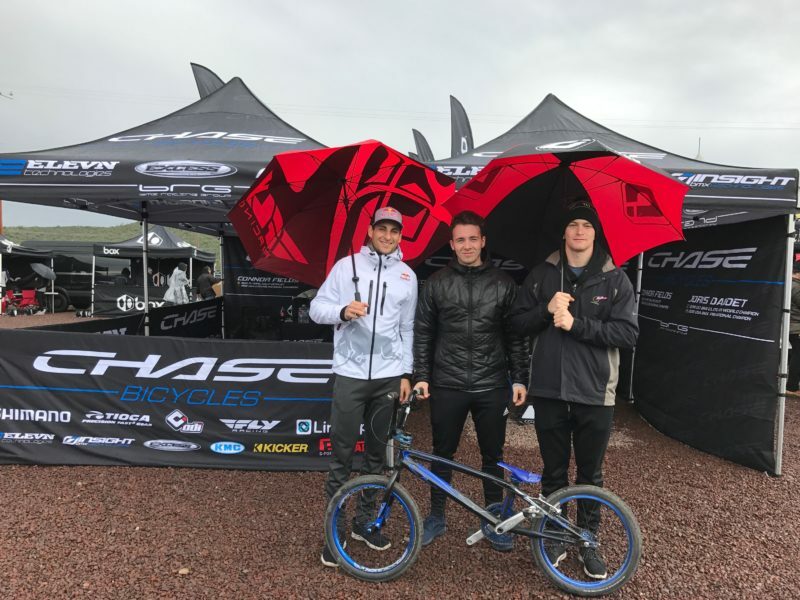 The Chase BMX Pro team – Joris, Romain, and Connor battle the elements to kick the USA BMX Season off in Arizona. 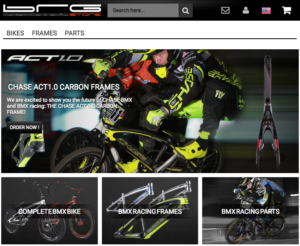 The start of the 2017 USA BMX Pro season was a much anticipated event – Many riders had a long 2016 season and took some time off after the Olympics and USA BMX Finals. 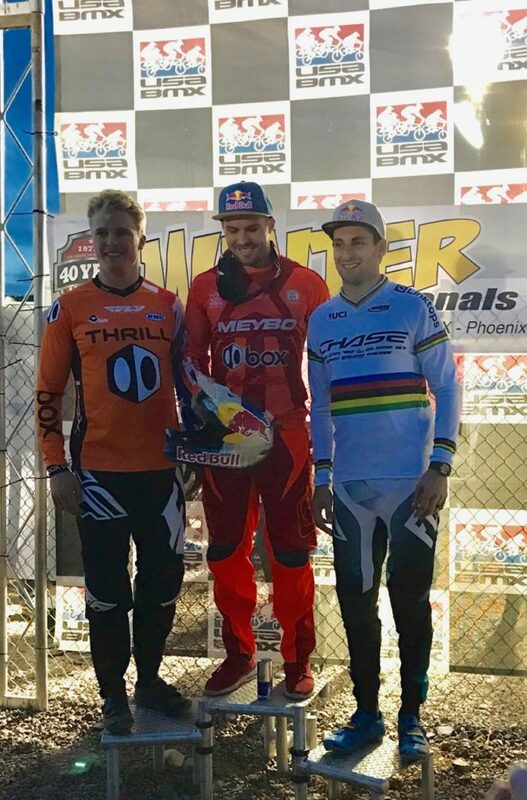 The 2016 USA BMX #1 Pro Joris Daudet and 2016 Olympic Champion Connor Fields both have been getting ready for the new season with training, while Romain Mahieu has done a few events leading up to the season kickoff in Phoenix, AZ. The team all met up in the desert to see how the off season training went, and on Day 1, the day was smooth for the riders. Both Joris and Conor made their way into the main event, with Romain just missing out in the Semi. When the Gate dropped Conor looked to have a good start from the inside, but a elbow and a millisecond of hesitation cost him going into turn number one. Joris was there to capitalize as he was stuck mid pack but navigated his way towards the front. Joris rode a strong lap and would finish up 3rd, while Connor was held back to 8th for the day. Day 2’s Pro main event would see Joris and Connor entering turn one in 2nd and 3rd, just behind Anthony Dean. Joris tried to make a move that slowed him down for a brief moment, but Connor would wind up actually tapping Joris, slowing him down, but as they both raced out of the turn, Joris would go wide, invertantly giving Connor nowhere to go but off the track. Joris would collect himself and race his way back to 2nd, fighting riders off all the way to the finish line. Joris would take 2nd for the day and Connor would finish up 8th. 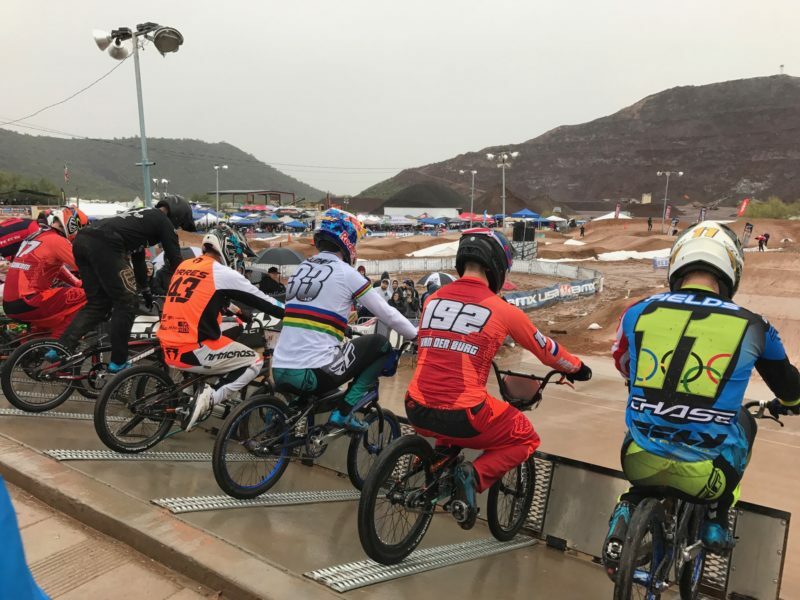 The riders all now will head off to Florida for next weekends 2nd stop on the USA BMX tour, as they head to Oldsmar to race at the 1st stop of the USA BMX North American SX events! 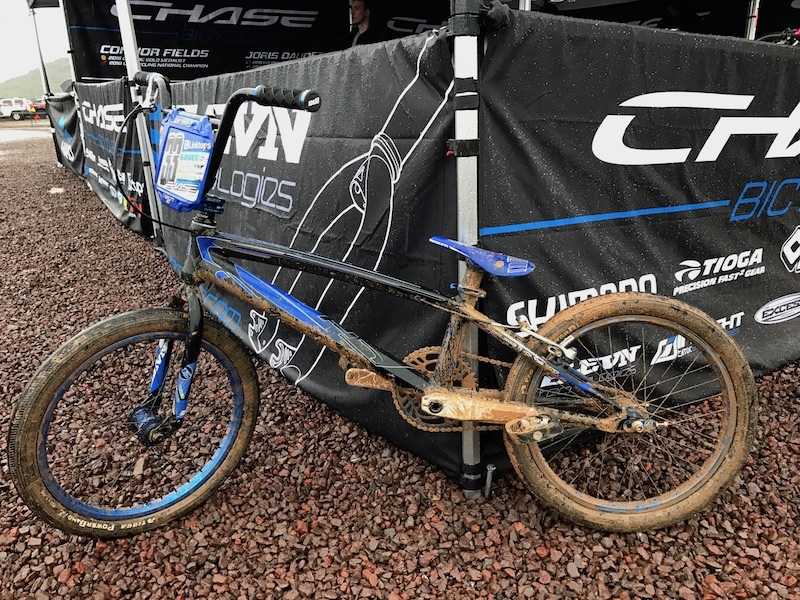 Make sure you are following @ChaseBicycles to keep up with the race day updates, as well as all 3 of the Chase BMX pros to get the latest scoop!